 Scolopendra virens | Pandorapedia: The Official Guide to Pandora | Own AVATAR on Blu-ray & DVD Now! Because of its incipient nervous system, researchers have labeled the centipede as one of the odd “zooplantae” found on Pandora. These lifeforms continue to baffle and amaze xenobiologists and xenobotanists who have had to reassess their preconceptions about the mechanics of life. The branches surrounding the flower are sensitive to warmth and can sense infrared radiation (IR), which is emitted from warm objects such as animals and people. In response to the presence of a living organism nearby, the branches move toward it to deliver the stinging toxin and repel the threat of being eaten or damaged. Botanical Description Herbaceous life form with spiraling green leaves along the stem and large flower at the tip. Flexible terminal branches covered with toxin-filled glands surround the flower and resemble tentacles. Ecology The centipede is deep green with a strong odor of rotting fruit and is pollinated by stingbats. Branches are sensitive to warmth and move towards it. Ethnobotany No known use; very dangerous and to be avoided. The materials on this website are not to be sold, traded, or given away. Any copying, manipulation, publishing, or other transfer of these materials, except as specifically provided in the Terms and Conditions of Use, is strictly prohibited.